Villa Georgia is located in Gerani, Crete. 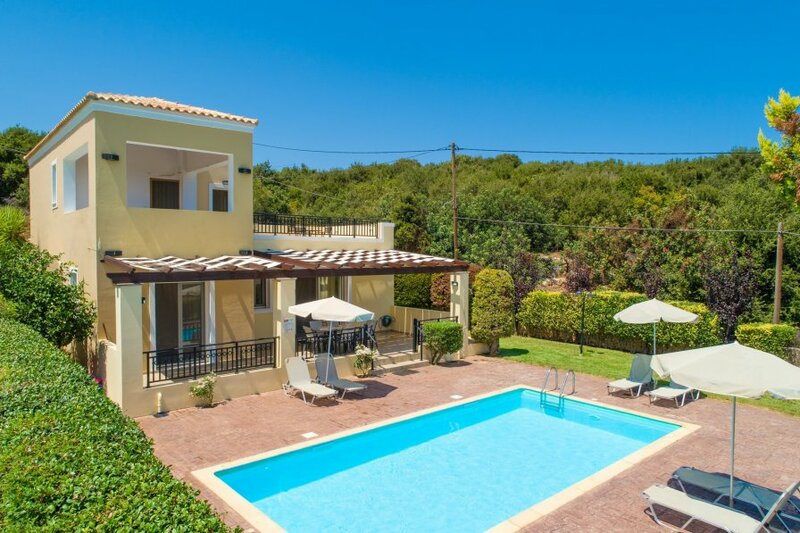 This detached vacation rental property is air-conditioned and sleeps up to 6 people with 3 bedrooms, 2 bathrooms along with private swimming pool. The Villa is walking distance to the beach and restaurants. Open-plan lounge with adjoining kitchen and dining area. Patio doors open to a shaded pool terrace. 1 double bedroom and 1 twin bedroom. Family bathroom.Upstairs: master bedroom with full bathroom. Patio doors to balcony overlooking the pool and gardens; sea views. Villa Georgia can sleep up to 6 people. Depth: 1.4m Set amidst lovely gardens complete with rockeries and children swing.